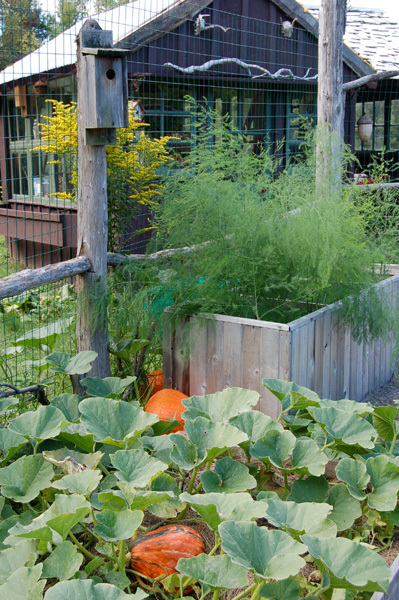 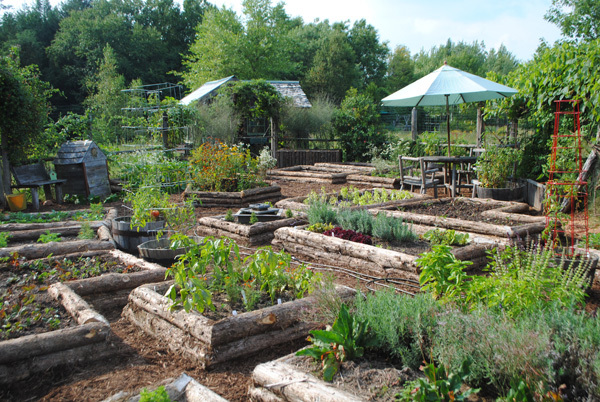 The raised beds are made of cedar logs. 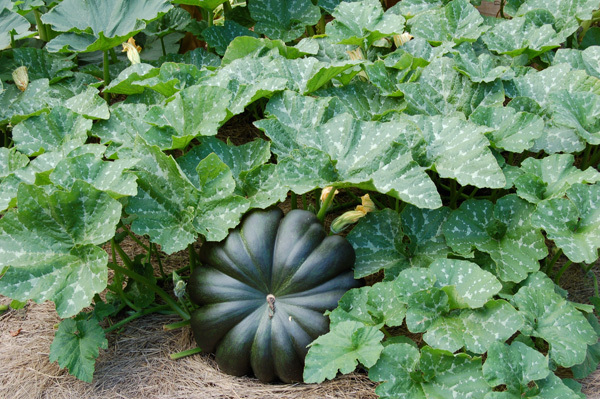 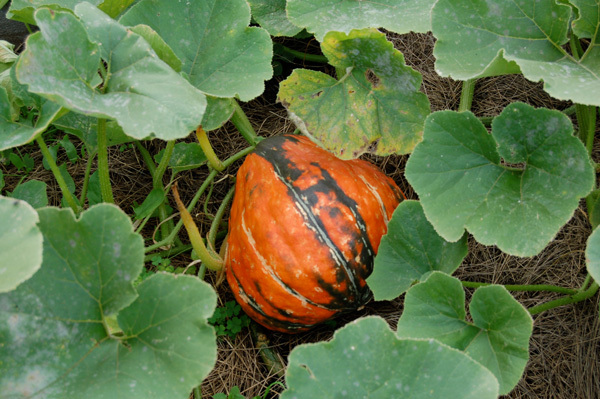 Tonda padana Italian heirloom pumpkin ripens to orange and green stripes. 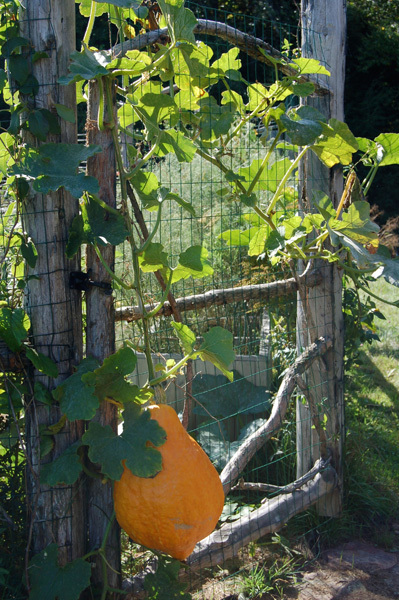 This photo shows that squash vines are really quite strong and can wander almost anywhere. 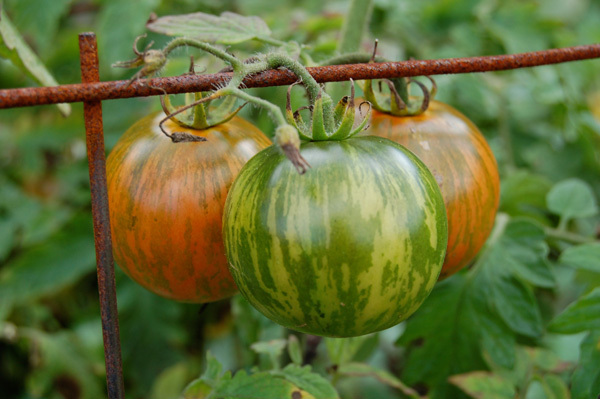 Mister Stripey heirloom tomato - ornamental as well as delicious.